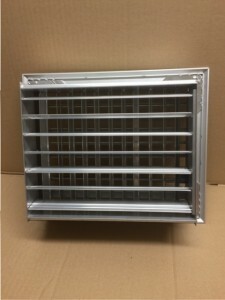 This type of grille has two banks of individual adjustable blades to allow air throw to go in both horizontal and vertical directions. The horizontal being at the front of the grille and vertical blades at the rear and set at 90 degrees to each other. If you require a damper this would be adjustable through the blades using a screwdriver. Standard colour – satin anodized but also available in white, RAL or BS Colours. 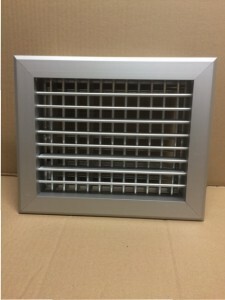 Hinged or removable core also available to allow filter and access to ductwork.